Didn’t most everything begin with words? In the beginning was the word—even the Bible touted that truth. So it was with my friendship with Lewis. He’d finally written a reply. I ran my gloved finger across his name, and hope rose like an early spring flower in my chest. I needed his advice—my life felt unhinged from the new beliefs I’d thought would save me, and C. S. Lewis knew the Truth. Or I hoped he did. This was a thoroughly captivating read for so many reasons. First of all, who can resist a real-life love story? Especially when it involves someone as beloved as C.S. Lewis. Secondly, while our life circumstances vary widely, I whole-heartedly identified with Joy’s passionately intellectual personality, always seeking answers and thriving on stimulating discussion. It felt like an immense privilege to ‘sit’ with Joy and Jack and listen in as they discussed matters of life, faith, friendship, and love through the ten years they knew one another. Thirdly, Joy’s story was compelling in itself as she struggled with her writing career, an unhappy marriage, and poor health. I didn’t really know anything of Joy’s story before picking up this book, so perhaps I don’t speak with much authority when I say this, but the story seemed very well researched, and I enjoyed the author’s notes detailing this at the end of the book. Callahan’s characterisation was masterful, vividly capturing every facet of Joy’s emotional journey: her internal conflict as her friendship with Jack flourished—via correspondence and eventually in person—while her marriage foundered; her later frustration and confusion as Jack “pressed his heart and mind as close to me as skin to bone” even as he remained unwaveringly committed to a chaste philia love between them; and her eventual realisation that she had spent her entire life seeking love in the outside world when the truth had been there all along: she was beloved of God. It’s an affecting, thought-provoking story all the way to its poignant end, which left me grasping for tissues and desperate to read everything else ever written about these two. If you’re at all a fan of C.S. Lewis, this is a must-read! 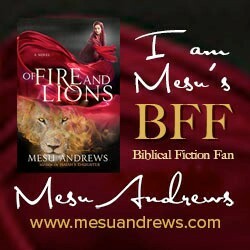 Image | This entry was posted in Book Reviews, Christian Fiction, New Releases and tagged Biography, C.S. Lewis, Patti Callahan. Bookmark the permalink. Oh, wow. This sounds amazing. Lovely review, Katie! I’ve had my eye on this book! I’d really like to read this one soon. It sounds so interesting even though I know I’ll have to read a lighter novel at the same time, because right now, I’m all about the happy-go-lucky reads. Glad to know this one is emotionally investing.